At the beginning of February, a group of budding inventors from Y5&6 visited the Broadway for a series of STEM (Science, Technology, Engineering and Mathematics) workshops, which focused on inventions. One of the workshops was led by Ruth who runs www.kidsinventsuff.com andwww.youtube.com/kidsinventstuff. The YouTube channel is 'where kids get their inventions made!'. 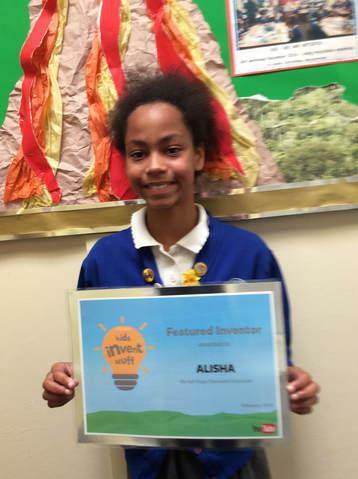 Alisha from Y5 was lucky enough to have her invention chosen to be made! Watch the links blow which show the announcement. the making of the prototype, the testing of it and it being used in real life at an exhibition in Falmouth where children can make their own inventions. Philosophy Club is in its fourth year! The members have discussed a range of topics at length, including: What is time and what is love? They have had some phenomenal ideas and enjoyed sharing their views as well as listening to others. On Friday 12th May, our very talented KS2 writers visited The Lakeside Gallery, at University Park, Nottingham, to take part in an art inspired writing workshop. 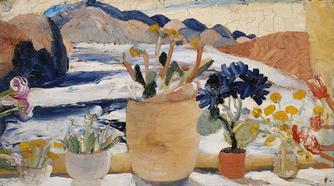 We looked at the work of Winifred Nicholson and how she used colour in her work. We then created our own landscapes using some of her principles and wrote descriptions to reflect the mood. A fantastic time was had by all and pupils reported that they would see colour in a different way and use this inspiration to improve their writing. On 6th December, Anna Roebuck, in conjunction with W.I.S.E (Waste In School Education) visited Old Basford and led an art workshop with 30 Key Stage 2 pupils. Stars were made using plastic bag collage and fusing them together. The results were magical. The finished installation can be seen over the Christmas Holidays outside Nottingham Castle, around the Statue of Robin Hood. In November, E.ON worked with pupils from Years 4, 5 & 6 to learn about energy and ways in which we can save it. All the children involved had a lot of fun, and shared their talents and a very important message with the rest of the school in a performance at the end of the day. Here is our winning entry! PROJECT 2 - A GROUP FROM Y2 MAKE MAPS! Year 2 practised their map making skills including: keys, drawing aerial views, eight points of the compass, simple grid references, the differences between human and physical features and the needs of a population in terms of amenities and travel. Dream islands were created by hand including human and physical features and pupils then used Ipads to draw maps using Digimaps for schools. 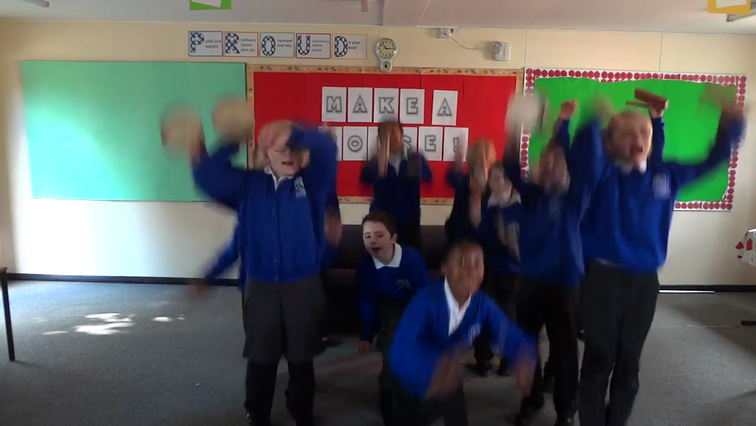 PROJECT 3 - A GROUP FROM Y1 PROGAM! Year 1 practised their programming skills using instructional language to command each other to move around the class and perform actions. They then used the Ipads to program Daisy the Dinosaur and Bee-bot. Two groups of children from Years 3 & 4 and 5 & 6 had the opportunity to attend a series of Philosophy sessions led by one of our parents, who works in the Philosophy Department at Nottingham University. The same pupils also undertook a photography project which is to be display in the back of the school hall. Pupils chose a letter of the alphabet and took pictures around school that began with that letter. this has resulted in a unique A-Z of the school. Pupils used Ipads, and the apps: Photoshop and Moldiv Collage Maker.